This badly faded and yellowed photograph is covered with dark stains, spots, and thousands upon thousands of very fine scratches. The scratches are so prevalent that they almost bury the image in places. 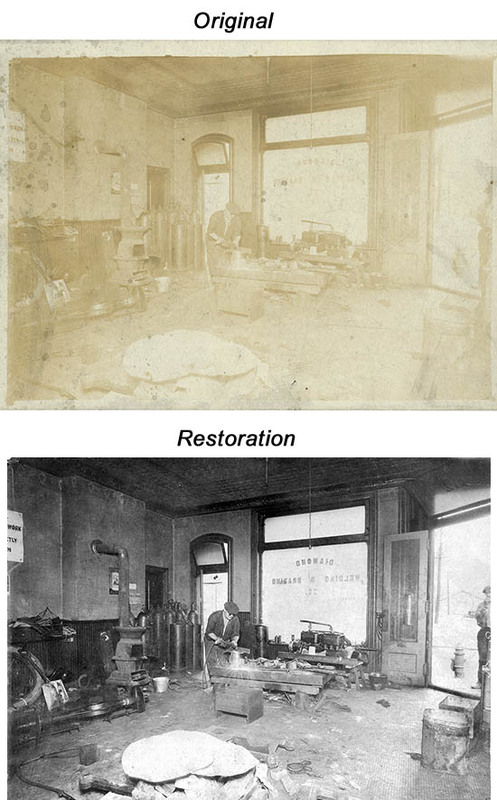 More information on how I performed this restoration is in my book, Digital Restoration From Start to Finish.